Looking to get back in the win column, the Minnesota Vikings will take on the Washington Redskins on Sunday in Week 10. Here is how you can watch. One of the more intriguing match-ups this NFL Sunday will feature a battle between the Minnesota Vikings and Washington Redskins. Both teams could use a victory to get back on track to the playoffs in their respective divisions. Kickoff from FedEx Field will be 2:00 p.m. ET. Fox will have the telecast with a live stream option available through FOX Sports Go. Minnesota looked like the best team in the league after jumping out to a perfect record through the first five games. 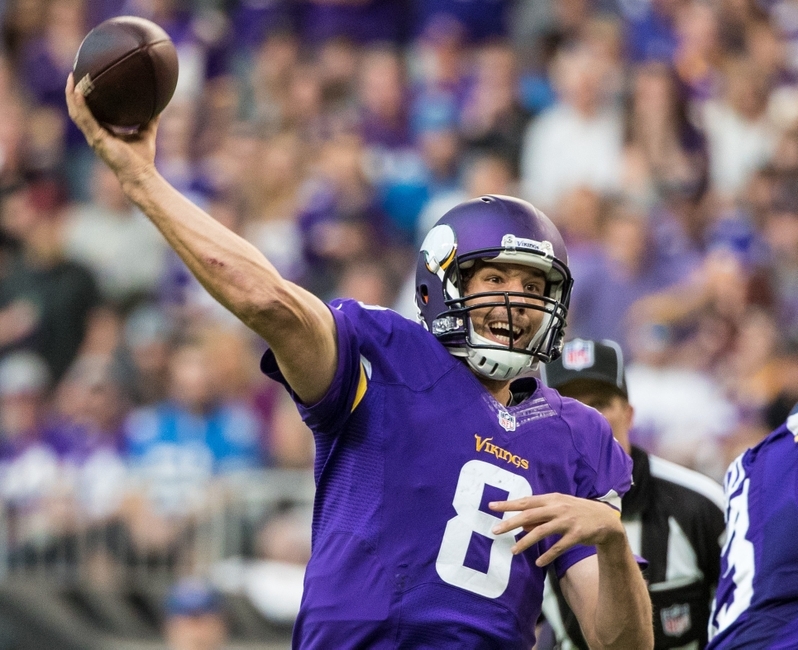 Since then, the Vikings have had three straight loses, two of which came at the hands of division rivals. Despite their struggles they still sit atop the NFC North, and with a victory will climb back over the .500 mark. After suffering a heartbreak loss to the Detroit Lions in overtime, the Vikings are eager to stop their skid and return to prominence. Washington is coming into Sundays match-up well rested off a bye week since playing their last game abroad in London. After their last game against the Cincinnati Bengals resulted in a tie, the Redskins are welcoming their return home. They will rely heavily on quarterback Kirk Cousins to navigate a talented Redskins offense against a top ranked Viking defense. He already has seven interceptions through eight games, so he will need to be conservative with the football for the Redskins to have a chance. This game could go either way as both teams have tons of offensive firepower to run the score up. The winner will be determined by whoever clamps down on defense, with this match-up statistically favoring the Vikings. A victory would be huge for both teams, so expect nothing less than an all-out dog fight.